Every young athlete makes mistakes. And coaches at every level can be tempted to “go for the win.” But at lower levels of youth hockey, the decision to bench a kid, whether for lack of skill, an on-ice misstep or to eke out a last-minute victory, sends the wrong message. Taking away ice time in these situations just might also take away a boy or girl’s interest in the sport altogether. Why else are they here? To have fun and play with their friends. Let them play. A coach skipping over the third line in the final minutes of a tight game may not seem like a big deal to an adult. But the sweetness of whatever victory gained from such a move likely will still taste sour to all those kids deemed not worthy of playing. In the long run, shortening the bench like this is counterproductive. It reinforces a win-first mentality that pushes kids out of the sport. Winning should not be stressed over development at the youth levels. It is better for a player to have lost the game but gained valuable playing time and experience instead of shivering on the bench. Let them fail. Let them learn from their mistakes. This is a key part of the development process. Are there other factors at play? Mark O'Sullivan, assistant coach with the Boston Junior Terriers, knows of a few common reasons – aside from winning – that tempt coaches to bench kids. Players occasionally ignore instructions for line changes or specific team concepts developed by coaches. In more elite leagues, this certainly deserves some disciplining. However, benching a 10-year-old player still learning the game can have adverse side effects. Moreover, the point may be lost entirely if he or she decides they don't want to be there anymore. Rather than benching a player, O'Sullivan says working with parents and teammates to show a boy or girl their mistakes is more effective. Discipline is certainly part of becoming a better hockey player, but scolding younger players or keeping them off the ice rarely has its desired effect. Additionally, it's important to remember why children play hockey. "The biggest thing is to make sure kids are having fun," O'Sullivan points out. "Anytime you do something that they don't enjoy, they're not going to pay attention. 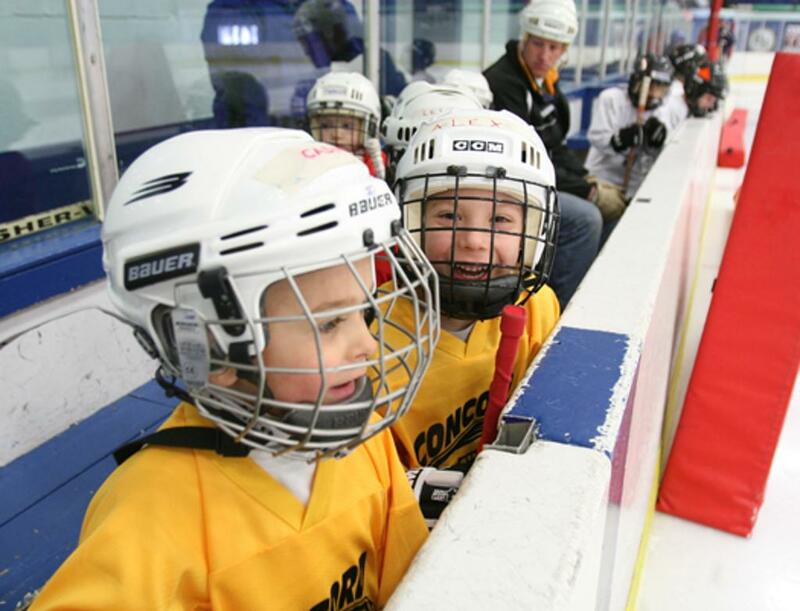 When a kid is on the ice and staying out there too long or you see some dangerous play, the best way to fix that is with some positive peer pressure. Building a positive attitude with a team will get rid of a lot of the play that we're talking about." Is a kid not acting like a team player? O’Sullivan says a player's teammates are a good way to get through to him or her. "A team is like a family," O'Sullivan says. "There are a lot of things we don't want to see. With younger kids, building an atmosphere that makes them want to be a part of the team prevents a lot of problems. Some positive peer pressure from their teammates helps younger kids realize they need to be team players." In all levels of hockey, some players will score more goals and some will make more mistakes, but when just starting out in the sport, the effort level and contribution of every player is just as important. It's inevitable that young players will forget their proper role from time to time. But it’s also imperative that coaches and adult remember theirs when it comes to decisions about keeping them off the ice.